Equipped with a premium seat and bigger tires, the FasTrak® SDX provides unparalleled strength, reliability and all-day performance at a great value. Find the perfect combination of power and versatility in the X-ONE®. 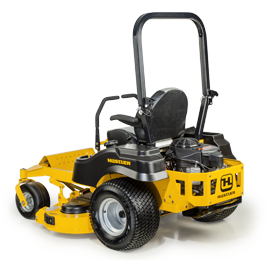 This mower provides an ultra-clean cut and the famous Hustler® performance, unrivaled in the industry. The Super Z® delivers unmatched strength, reliability, productivity and warranties. When you are this unmatched, they call you "Super." The Super Z® HyperDrive® is the strongest of the strong, the fastest of the fast, and the top-of-the-line zero-turn commercial mower in its class. The TrimStar™ is the most innovative walk behind mower in the professional mowing industry. Its patented H-Bar® steering is the easiest-to-use walk-behind system available. 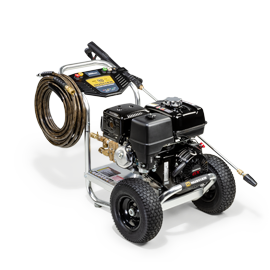 For operators who want the convenience of a diesel-fueled mower, the Hustler® Z Diesel has the high-torque power to get the job done, with the features you love from Hustler®. The patent pending Super S® features best-in-class performance, operator comfort and strength. It's the toughest, most compact stand-on in the business. The Super 104™ is an affordable wide-area mower with the precision of a zero-turn. Mow up to 84 acres in 8 hours at up to 11 mph and still enjoy the features of a Hustler®.